Internationally known, nationally recognized, and locally accepted! 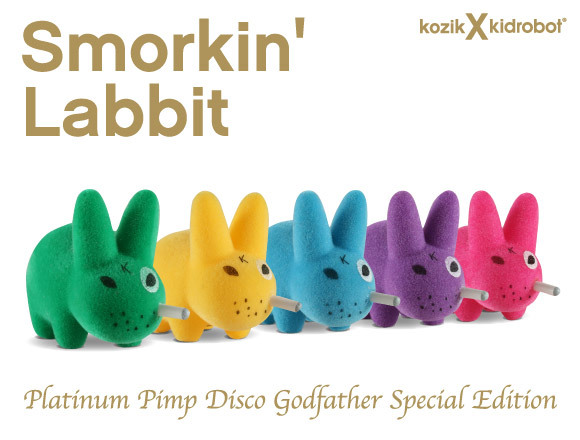 Frank Kozik’s classic mini Smorkin’ Labbit has been reborn as the Platinum Pimp Disco Godfather 5-Pack. Retailing for $19.95 each, these guys strut into Kidrobot stores, kidrobot.com, and select retailers on March 18.